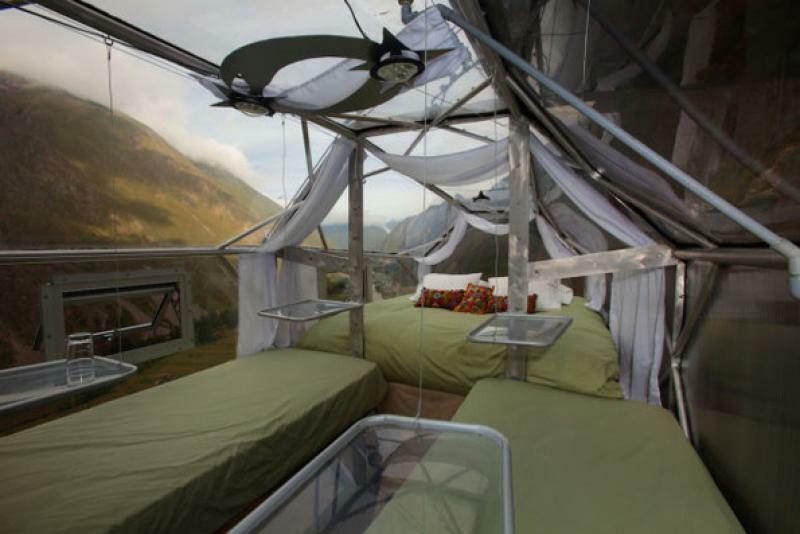 If you are the adventurous type of traveler, then this is most definitely the place for your vacation. 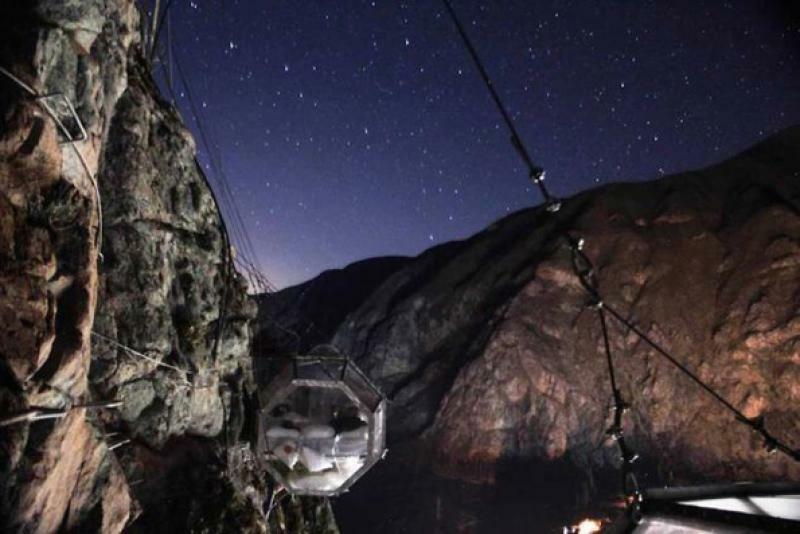 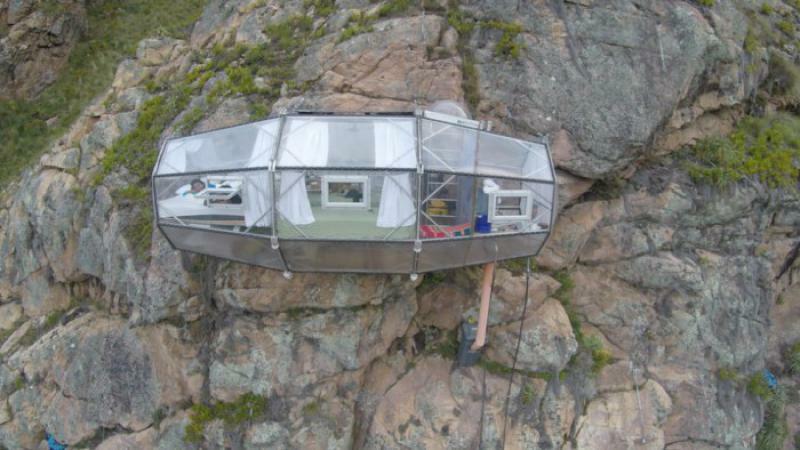 These bone-chilling glass pods coming out of the side of cliff is one of the biggest and most extreme feelings that you could get! 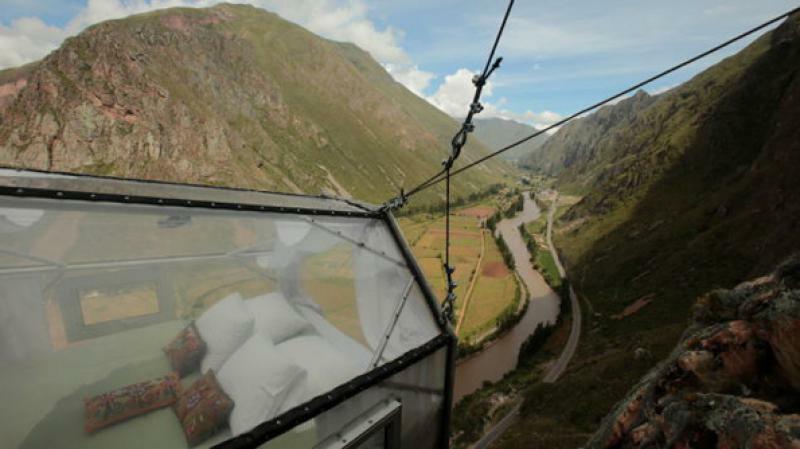 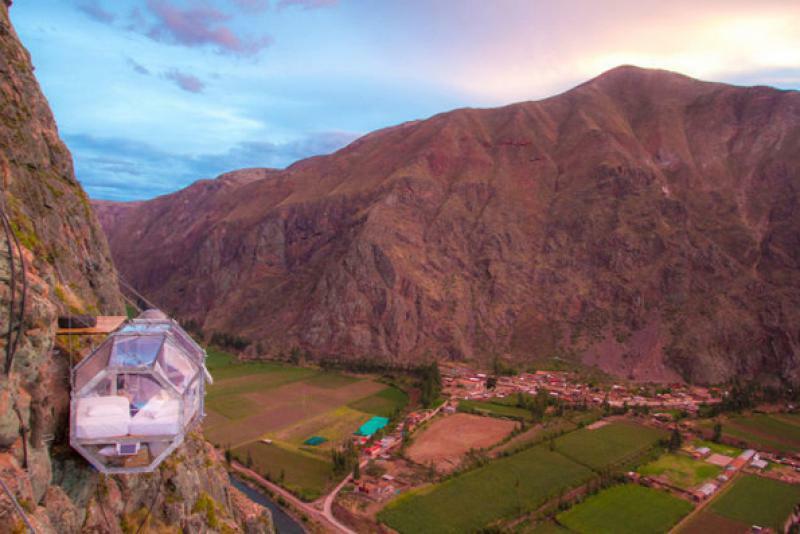 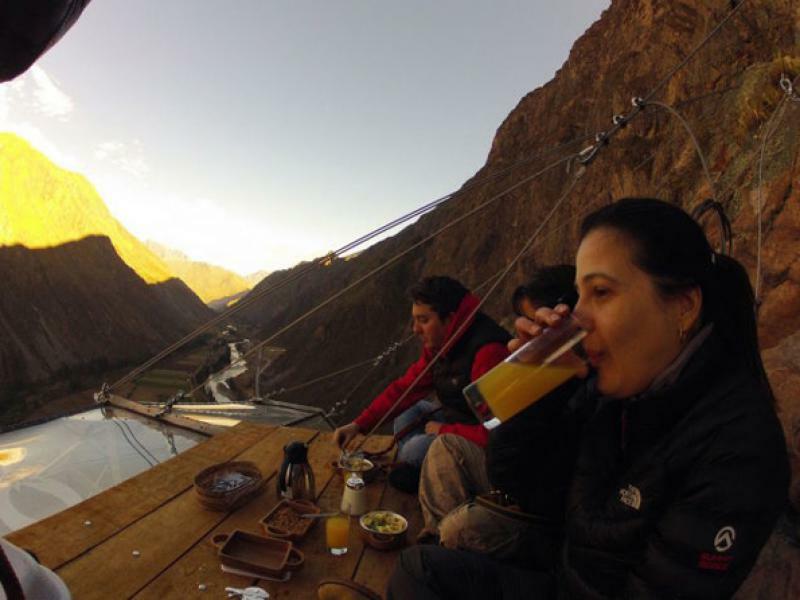 Located hundreds and hundreds of feet above the Sacred Valley in Peru, the Skylodges are the best place for the crazy heads that crave that pure adrenalin rush and an incredible chance to glance of the countless gorgeous stars above us. 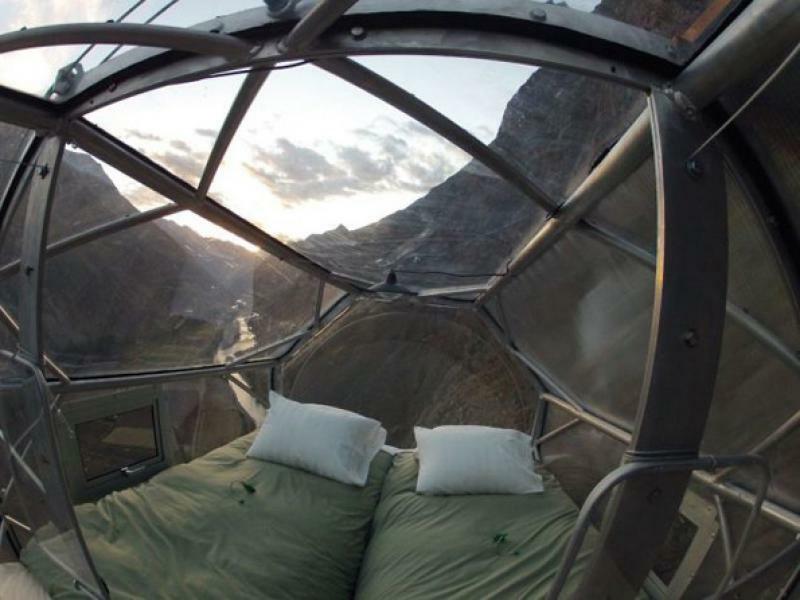 Lying in bed that is pointed directly at bright night sky, full of mystery and beauty, imagine that! 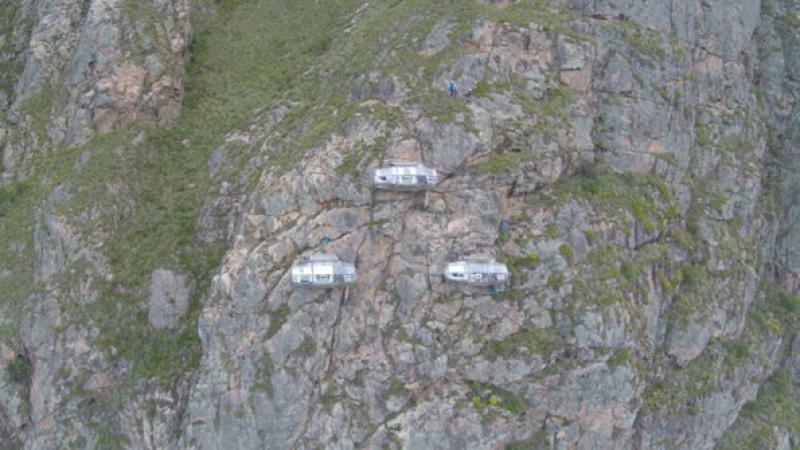 These amazing pods are coming with a personal chef and completely stocked wet bar, which by the way is cleverly acclimated to the new atmospheric surroundings. 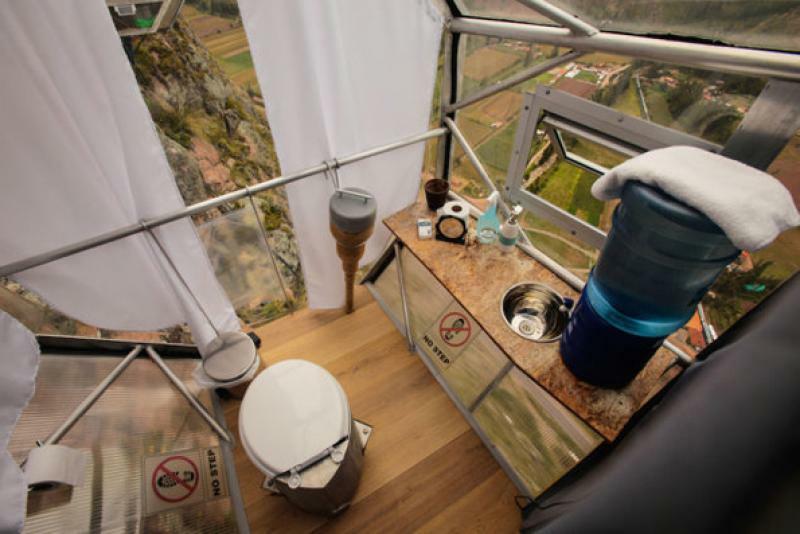 The most extreme thing about it is that the only way to actually reach the magical rooms is by zip-lining or rock climbing, so in order to get there you better have what it takes and most certainly will need to stack up on toothpaste, as you are going the be stuck there for a while. 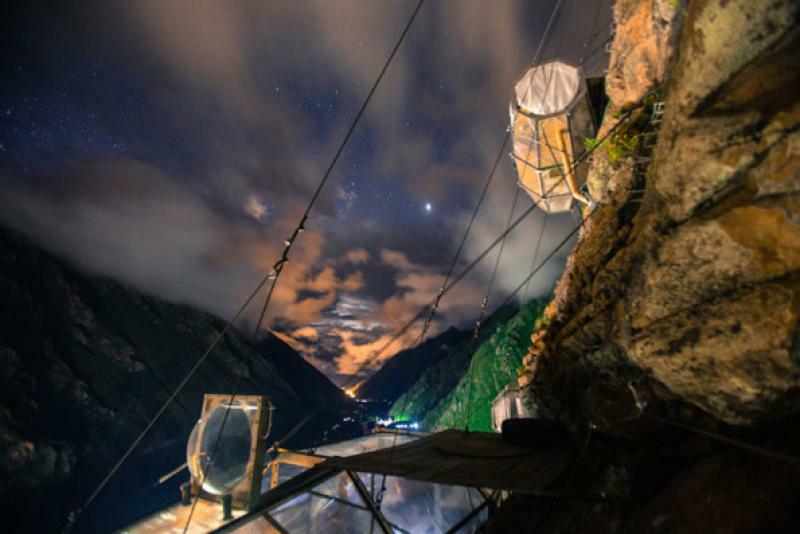 But I’m pretty sure that once you get there, there are going to be very few of you that will actually want to ever leave this amazing, magical place with that killer view.